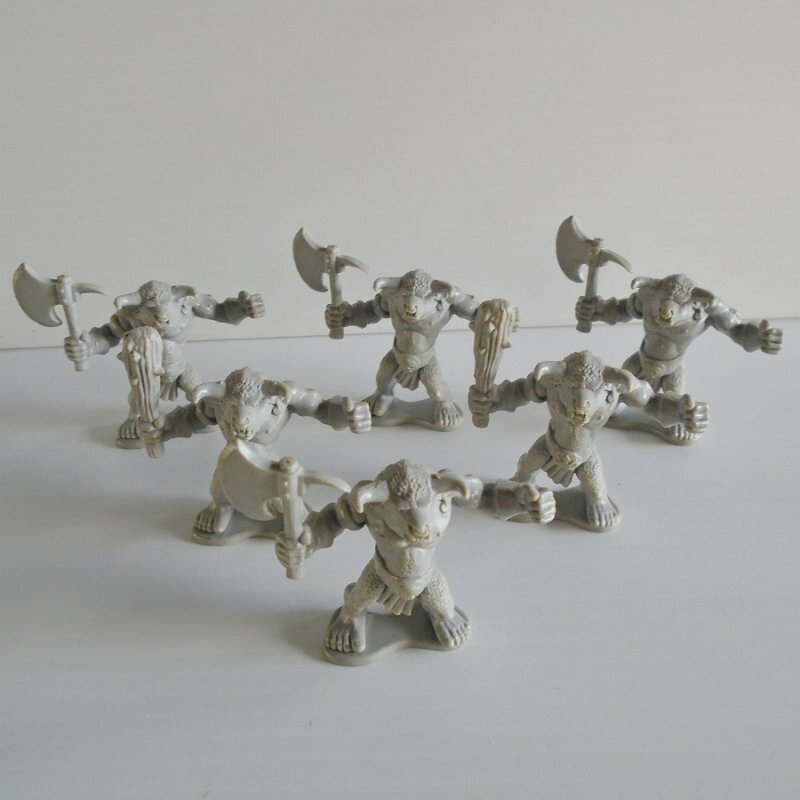 Offered in this listing are a quantity of 6 fighter figurines. I am calling them "Bull Head Axemen" because they have horns and to me that's what their heads look like. I'm not sure if they are for Dungeons and Dragons, Mage Knight, or if they are part of the Warhammer game. 4 of the 6 are holding an axe, the other 2 are holding what looks like a wood club. Other than those weapons, all figurines are exactly alike. All measure approximately 2 inches tall and they are plastic. Quantity of 6 fighting figurines with bull heads. For either Warhammer, Dungeons and Dragons, or Mage Knight.